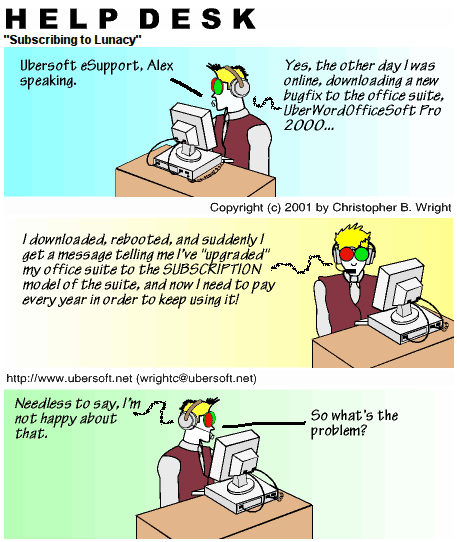 ALEX: Ubersoft eSupport, Alex speaking. CUSTOMER: I downloaded, rebooted, and suddenly I got a message telling me I’ve “upgraded my office suite to the SUBSCRIPTION model of the suite, and now I need to pay every year in order to keep using it! CUSTOMER: Needless to say, I’m not happy about that. ALEX: So what’s the problem?